At 8:30 a.m., eastbound I-394 was still at a crawl due to a mishap near Wirth Parkway. The crowded conditions are making for a 20-minute drive from I-494 to downtown Minneapolis. Roads leading to the State Fair are not moving well either. 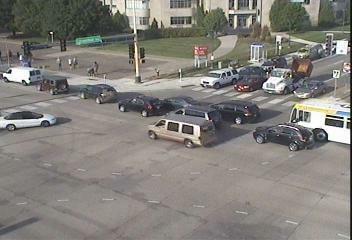 Both directions of Snelling Avenue are at a crawl between Hwy. 36 and Energy Park Drive. Fairgoers on Twitter report that Larpenteur Avenue is at a standstill. Traffic is barely moving on Fairview and Cleveland avenues, according to social media posts. Fair officials say parking is still available on the fairgrounds at of 8:15 a.m. Buses from 34 park and ride lots operated by the fair are running, but some may be running behind schedule. "The buses are continuing to run regularly but of course may be delayed due to traffic and crowds," a fair spokeswoman said. 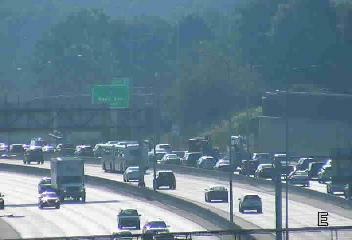 Elsewhere on the system, traffic remains heavy on Interstate 494 in Bloomington between Hwy. 100 and Cedar Avenue. In the north metro, I-694 is heavier than usual between Hwy. 169 and I-35 in both directions.